My name is Kaat and I am 25 years old. I am born and raised in Leuven, Belgium (Flemish part of Belgium) and I did my main studies at the University of Leuven. Here I was trained as a clinical psychologist, specified to working with children and adolescents. During my Master, I did a traineeship in a child psychiatric centre, so I would say my training in Leuven was mainly clinical. My Master’s thesis was about illness-identity in adolescents with type 1 diabetes. I obtained an additional Master’s degree called ‘Interventions in Childhood’ at Jönköping University in Sweden where I deepened my knowledge about child development and system theories in an international and interdisciplinary setting. For my Master’s thesis, I conducted a systematic literature on eating and feeding difficulties in children who have or had cancer and parental feeding strategies. This triggered my interest in eating and feeding behaviours. 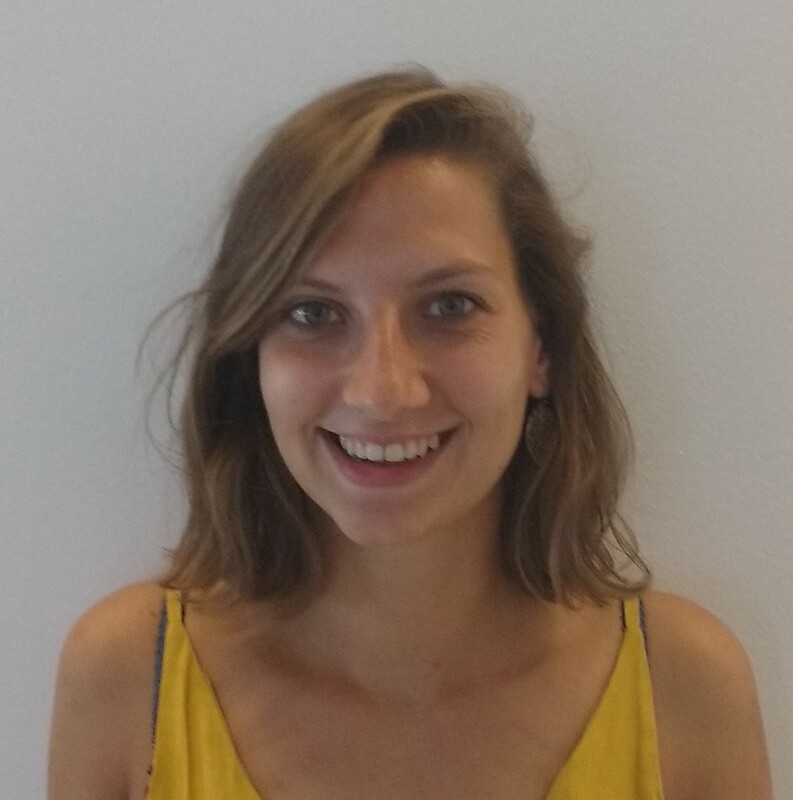 After graduating, I worked as a research assistant at the University of Leuven studying the neurocognitive development of children who were prenatally exposed to cancer treatments. Edulia wants to study multiple factors that contribute to children’s food choices in order to be able to promote healthy eating from childhood. The collaboration between different European research centres with expertise in different research fields (psychology, social marketing, sensory science, etc.) offers me, as a PhD student, the opportunity to gain not only expertise in my specific research topic. It will allow me to obtain a broader and more diversified understanding of research in nutrition and to obtain experience in working in international and interdisciplinary settings. I also think that food and nutrition are important and challenging topics in this changing society. I will work at the Centre for Taste and Feeding Behaviour (CSGA) located in Dijon (France) within the Bourgogne-Franche-Comté Centre of the French National Institute for Agricultural Research (INRA). What are your expectations of living in Dijon? People told me that Dijon is a charming, rather small and easy-going city with many students, so it made me think of Leuven, my hometown. However, Dijon is in the heart of Burgundy, which is known for good food, wine, beautiful old buildings and art and culture (sounds great, no?!). I am looking forward to exploring these aspects and to exploring France in general. Living in France is also a good opportunity to improve my French language skills. When did you start your position? I started in Dijon at the beginning of November, 2018. If started: What impressions do you have so far? My research team was warm and welcoming from the start. They are all very motivated researchers with the best interests in people’s health from conception to old age. My supervisors are also very enthusiastic about this PhD project and the collaborations in the Edulia network. What do you think will be the main challenge for you the next three years? I think that the biggest challenge will be the management and execution of this PhD project: constructing important and innovative research, interacting with pre-schoolers and their parents in French, writing articles and this in combination with secondments abroad and scientific and professional trainings. Adapting to new environments, people and languages will make this challenge even bigger because it will be a challenge on both professional and personal level. I think this PhD project will have an important impact on my professional life. The research activities and training and all the people I will meet will most definitely influence my personal and career interests. Currently, I think a career in research and/or in health promotion in a local, national and/or international institute can be a very interesting and challenging job. It will allow me to put research results more into practice and to bring it to the people who will benefit from it. Which challenges do you find most important for our society in the future? Global warming scares me. We need to find ways to diminish pollution, to find and promote less polluting transportation options and to establish a more sustainable food production. Local, healthy food should be promoted and easily accessible for all. Everyone should be intrinsically motivated to do efforts to make the planet a place where we can all live together in a healthy and caring way. We also need to take into account the (growing) diversity of populations (cultural diversity, social inequalities, etc.) when doing research and introducing new policies. I hope I will be able to conduct research that will give new insights in eating and feeding. This can stimulate other research, and gradually we will get closer to establishing healthy eating patterns from a young age in all populations. 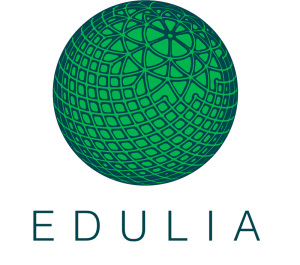 By being part of the Edulia network, I hope I will be able to spread my enthusiasm, ideas and results to many other researchers and partners. I also strive to do this in my later career. I will work with pre-schoolers and their parents. Working with pre-schoolers can be a lot of fun because they are often very honest and curious, they are playful, and they have a lot of imagination. But it is only fun if they like to cooperate. Pre-schoolers can often be shy and their attention span is quite short. Situational factors, like fatigue, can also strongly influence their cooperation. So it will be a challenge to motivate the children to cooperate and open up to me. It will also be a challenge to construct methods that suit their cognitive capacities. It is definitely an age-group that will never bore me!